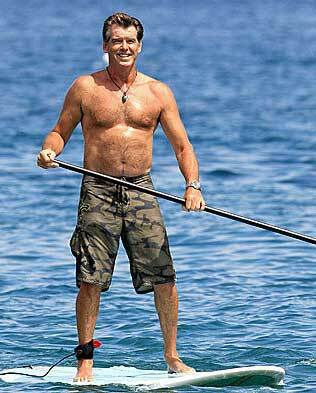 Celebrities Stand Up Paddling! SUP Celebrity. Many trend-setting celebrities have given Stand Up Paddling a try. Here is a collection of photos of various celebrities trying out SUP around the world. Paddle boarding, also referred to as SUP, paddleboarding and paddlesurfing, has become a global phenomenon.